We Do Not Buy Coins: No Gold Coins or Ingots, No Silver Coins or Ingots. Please go to a Coin Store as actually values can vary depending on the Coin. Scrap Gold: We buy scrap gold jewelry that is 8kt, 10kt, 14kt, 18kt, 22kt, or 24kt. 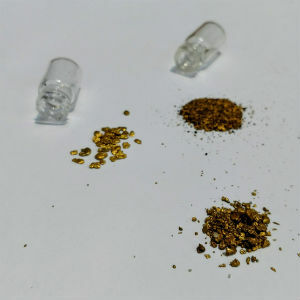 When you bring it in, we separate it into the different karats of gold, weigh it and depending on the gold price, we calculate how much per gram you will get. Gold Teeth: We buy dental gold. We don't mind if there's a tooth in it. We have a way of calculating its weight. Gold teeth are generally a low karat so the tooth won't dent when you bite something. The value of the gold tends to be $20 - $40 per tooth ball parking. Natural Nuggets: We buy natural nuggets. Scrap Silver: We buy scrap sliver jewelry. When you bring it in, we will weigh it and depending on the silver price, calculate your price per gram. 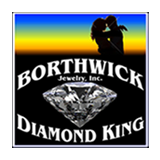 We recommend not selling scrap silver as it is more valuable in jewelry form.